Live Creating Yourself. : Orange you glad I posted this? 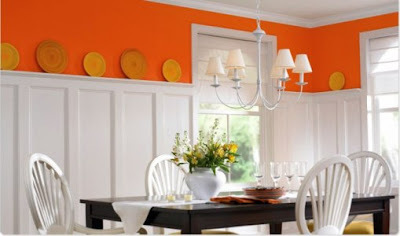 Here is a collection of rooms done in festive orange. I'm not going to lie. 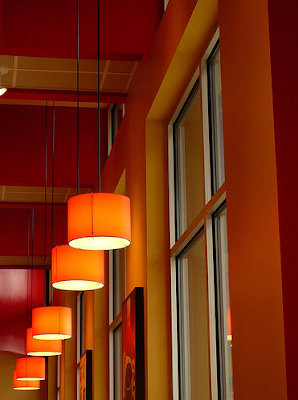 I'd be all-out reluctant to use orange in a room only because I know how bored I get right away. 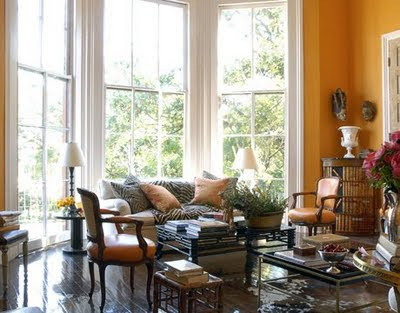 And with orange - I'm pretty sure I'd want to change it before the room was even put together. 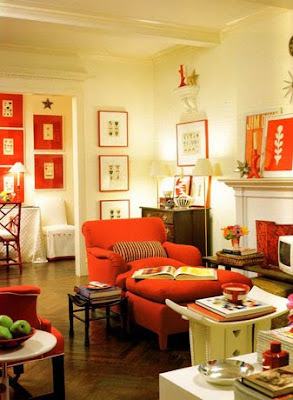 But I've got to hand it to these folks - these are some bright, cheery, edgy, down-right gorgeous rooms that I'd enjoy sitting in over and over and over again. 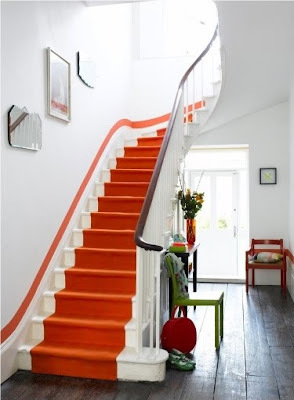 I'm confident in stating that you could replace the orange with any color - black, lime green, hot pink, pale blue - and this stairway would still be rockin'. 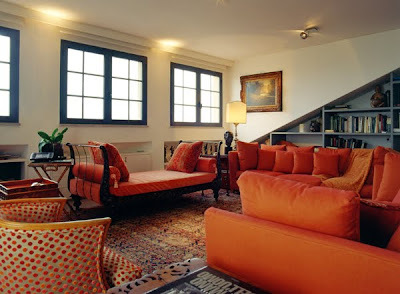 Love how the bright orange accents the whites of the room. This is actually a Borders bookstore cafe - how chic! 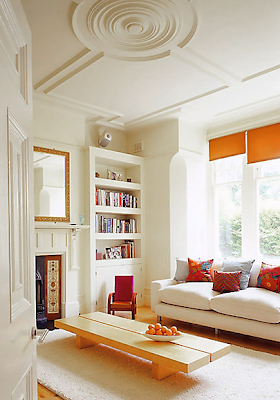 Again loving the white dominance with orange accents. And great window treatments (something I usually overlook)! Stay tuned for tomorrow's special sing-along pumpkin display! I know that makes no sense, but you'll see. 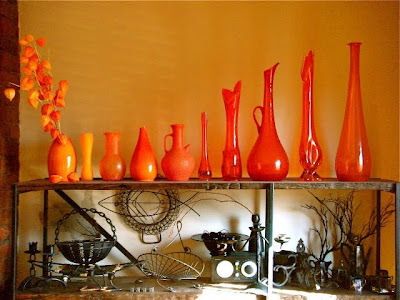 Love all this orange! 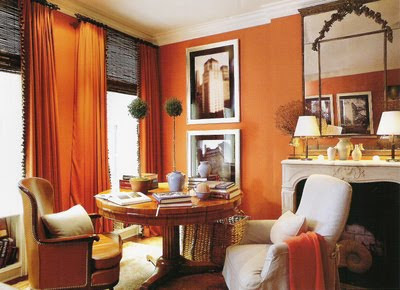 I am hesitant to use it in interiors as well, but sometimes if you get just the right shade of Hermes orange it's to die for. 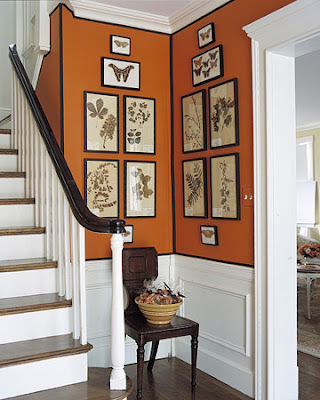 Just saved that orange staircase in my archives. So inspiring! Have a lovely weekend dear!